Folding is a technique used in some types of cakes, pancakes, cream pies, and other baked items. It's usually a light airy batter -- such as beaten egg whites or whipped cream -- folded into a heavier cake batter or a pudding or curd mixture. Stirring would break the lighter batter down and much of the air would be lost. Folding is basically lifting and scooping while turning the bowl. The motion will incorporate the batters while keeping the airy whites or whipped cream from breaking down. There are a few ways to fold. 1. Using a large rubber spatula, cut through the center of the batter. Bring the bottom batter up to the top with a wave-like motion. Turn the bowl about a quarter turn and repeat until there are no more white streaks remaining. 2. Scrape down the side of the bowl with a large rubber spatula towards the center, bringing some batter up from the bottom and flipping it over. Repeat, turning the bowl each time, until there are no more white streaks remaining. 3. A large whisk may be used as well, but motions should be gentle and very slow. Start with about a quarter of the lighter mixture, fold it in, then add the remaining lighter mixture. Always fold the lighter mixture into the heavier mixture. Don't stir or rush folding. 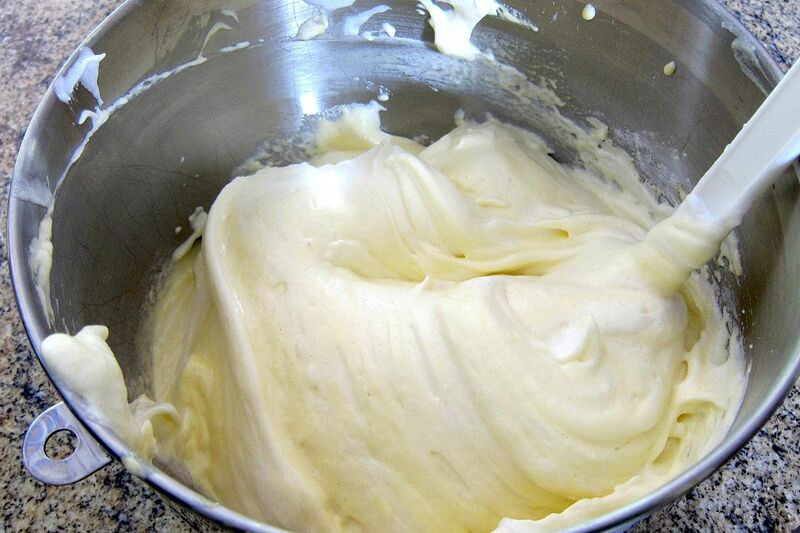 Egg whites should be beaten to stiff, but not dry peaks, and whipped cream should be beaten to medium peaks.